Chronic fatigue syndrome (CFS) and adrenal fatigue are not the same, but adrenal function may play some role in its course. The cause of CFS is unknown, but it is characterized by severe, chronic fatigue of six months or longer that is not attributable to other known medical conditions. It is typically accompanied by some combination of four or more other symptoms that have also lasted for six months or more and are unique to the period of fatigue. These symptoms can include: impaired short-term memory or concentration, sore throat, tender lymph nodes, muscle pain, multi-joint pain without swelling or redness, headaches, sleep that is not refreshing, and prolonged malaise after exercise. A period of physical or emotional stress commonly precedes the onset of CFS. However, people with CFS have been found to produce lower levels of the adrenal stress hormone, cortisol, than do healthy people. Although low cortisol does not seem to cause CFS, and raising cortisol levels does not eliminate it, adrenal fatigue, and its concomitant low production of cortisol and a number of other regulatory hormones, may help predispose a person to its onset or exacerbate the symptoms. When there is a longer than normal recovery period from CFS, with decreased stamina and pronounced morning tiredness, adrenal fatigue is likely contributing to the symptom picture, no matter the cause of the illness. 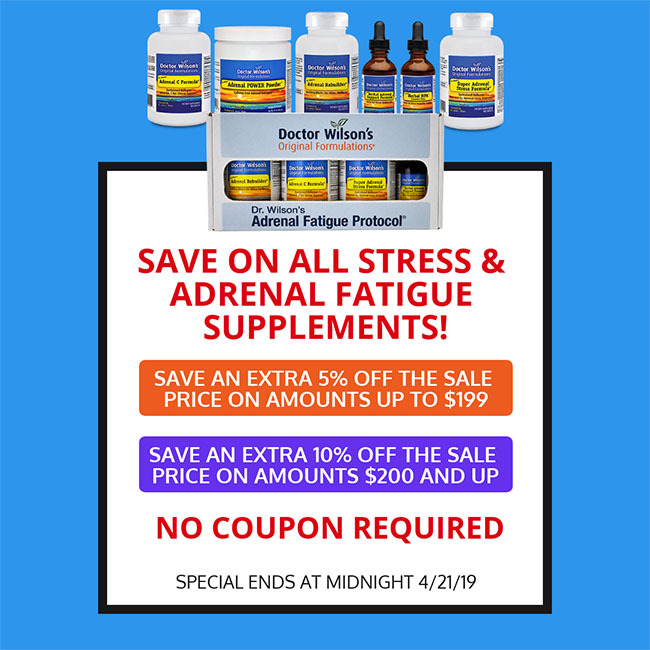 Providing adequate support for healthy adrenal function can be an important contributing factor in facilitating full recovery from CFS and the maintenance of health and vitality.